Ben and Emma had to depart on the Monday as they both had work on the Tuesday even though I had tried to convince them to stay another day. I had to wait in Salcombe anyway due to having no crew although my Dad would be over later on in the week to assist in the passage to Plymouth or Falmouth weather depending. The Monday was spent resting up and then popping over to the beach. I decided to anchor in the main river to save a bit of cash but it is still £9.00 a day and £18:50 on a swinging mooring. We anchored, Ben and Emma prepared lunch and we headed to the beach. 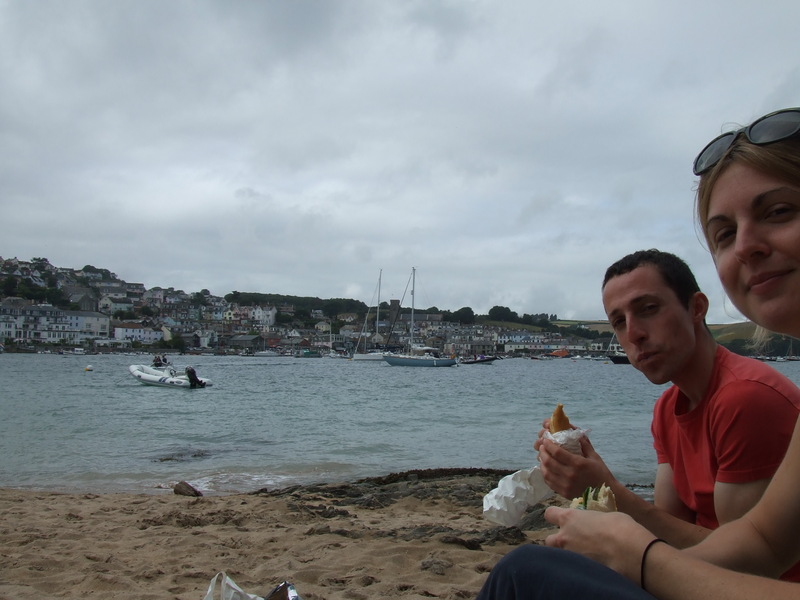 Ben and Emma left in the afternoon and I was left to experience the delights of Salcombe on my own. Salcombe is beautiful but it has one street, one good fish and chip shop, lots of arrogant yachties, 6 pubs and one Internet café. 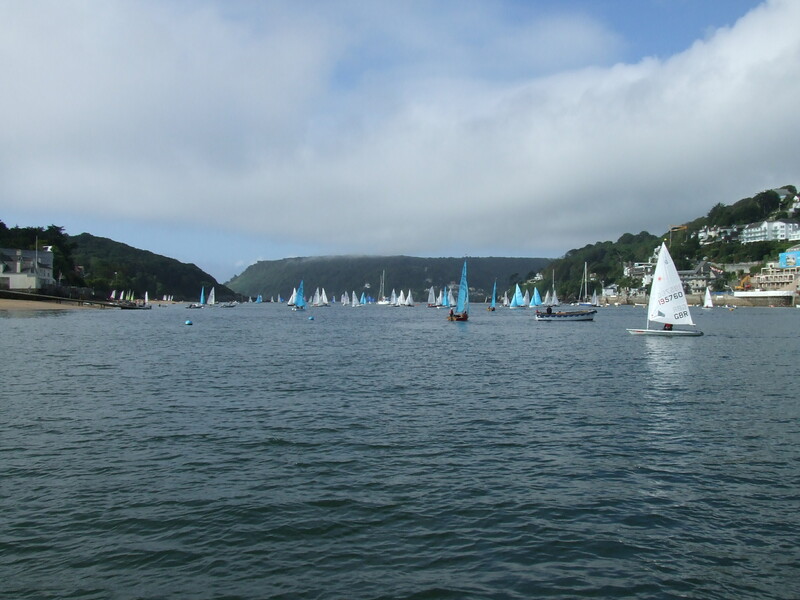 It was certainly not my choice to stay in Salcombe long but this was not meant to be the case and as bad weather moved in it looked like I would be spending the week there, as with no crew I could not head to Plymouth. I had one good day sitting at anchor watching the sailing regatta in the sunshine and still putting the jobs that I needed to do off until tomorrow. 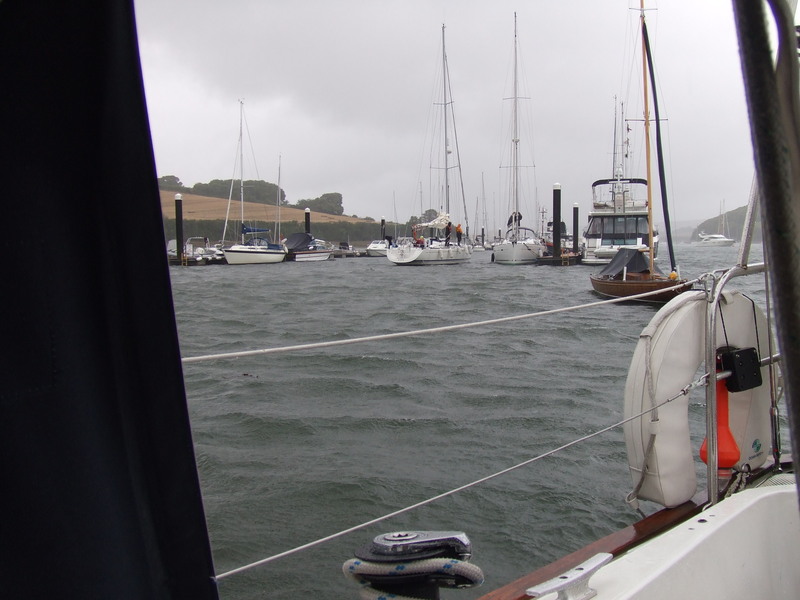 The wind was forecast to reach force 10 on the Wednesday and I was kindly recommended to move to the ‘bag’ for shelter and pick up a swinging mooring, which I did. 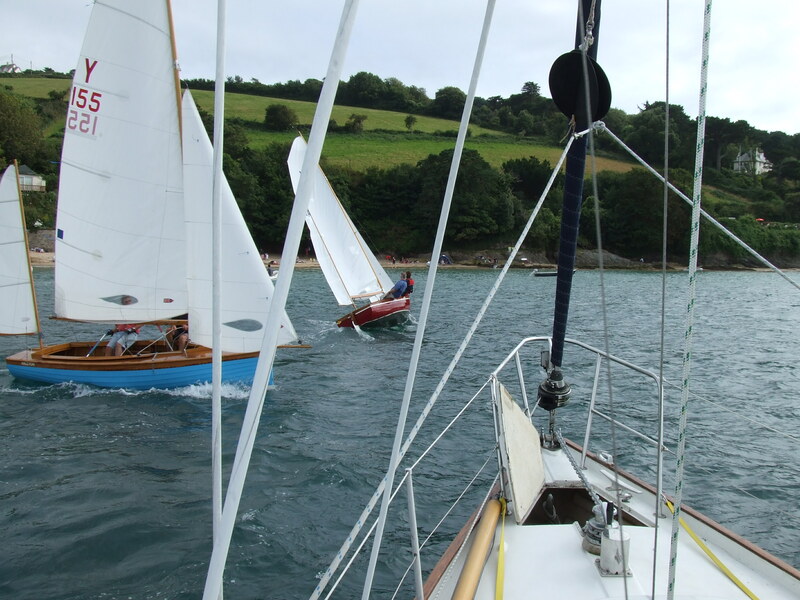 On Wednesday the weather hit and I was completely stuck with no chance of making Salcombe town in our small dinghy. 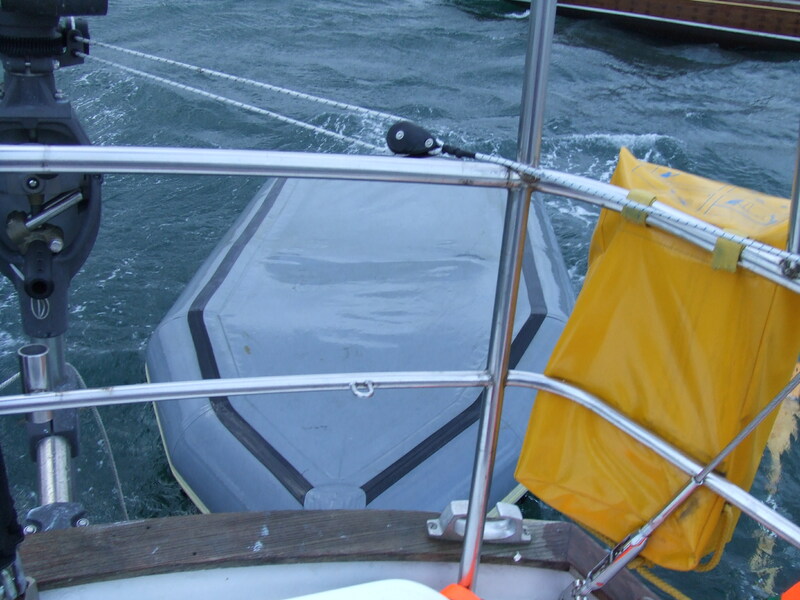 My problems were increased when one large gust managed to take the dinghy in the air and turn it upside down with the motor still connected. I managed to radio Salcombe harbor that managed to salvage my oars but I lost my pump, fuel and anchor in the process but thank God the engine was still attached. The rest of the night was spent fending Troskala off the missiles that were approaching us from all directions and managed to record a gust of wind reaching 50 Knots and although amazing to see I wish it had been a calmer night although I did cook a fantastic curry. My Dad and Nita arrived on the Thursday to help out with the damage that had been caused by the small outboard motor going into salt water. It was nice to again have some company so we ate out at the best Fish & Chip shop and spent the next couple of days repairing damage. Posted on 31/08/2012 31/08/2012 by magneticdeviationTagged transportation, travel.